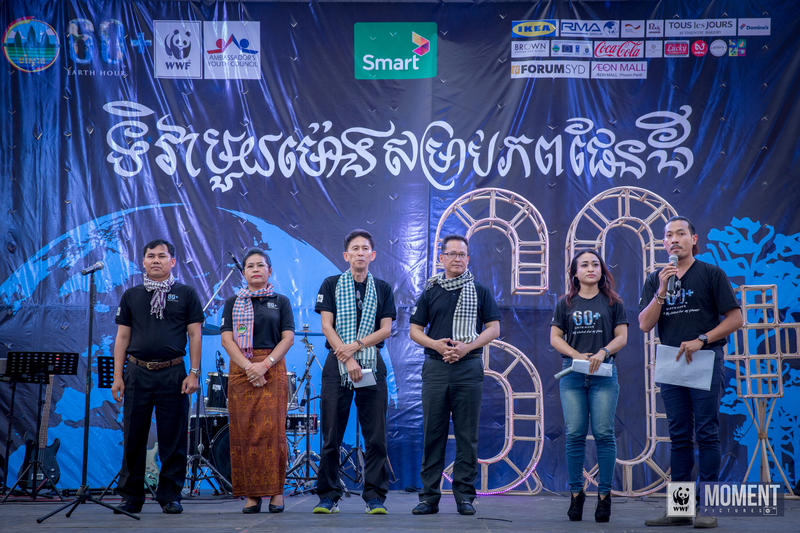 On the 25th of March 2017, WWF-Cambodia continued its 4-year-old tradition and hosted earth hour at Wat Botum Park. 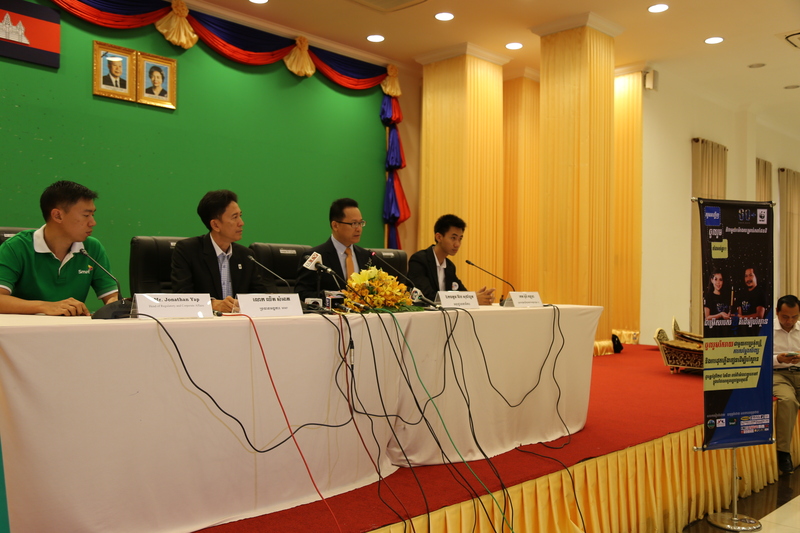 We arranged for a host of interesting activities with our brand ambassador, and engaged Cambodians in our social media contests, our sustainable products exhibitions and our music events. Mother Nature wanted to celebrate earth hour in her own way, she turned off the lights before 8 pm, by causing an unexpected thunderstorm. So all the lights did turn off, except most of us were also drenched with it. Overall, it was a memorable experience, one way or another. 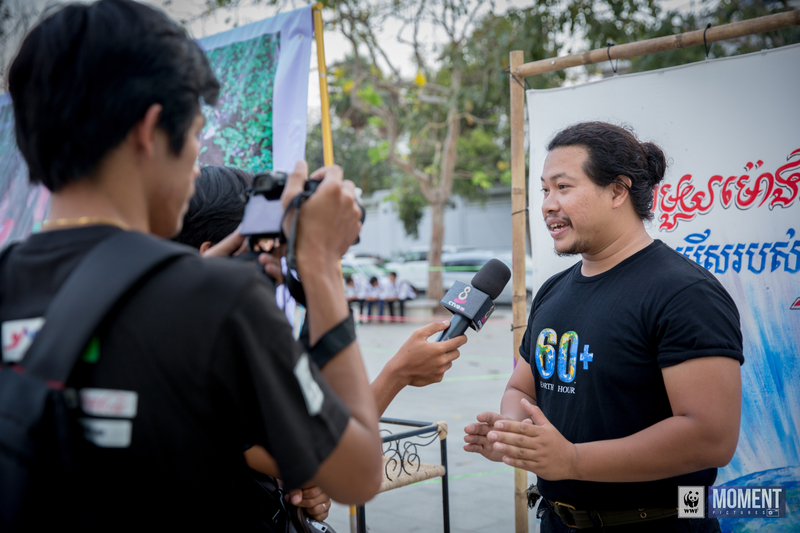 This year WWF Cambodia focused on the power of the individual. We recognised the power that each person claims and created a campaign as a way to develop initiative and responsibility towards the environment. We chose to focus on Sustainable Resource Use for this Earth Hour, as most our readers know, our planet can only produce a finite number of resources – from food, to water, electricity or wood. And hence when each citizen makes a choice that is sustainable they become responsible for their own consumption practices. The campaign aimed at bringing to everybody’s attention the impacts their choices make and how far reaching they can be. We’re proud to say that our audience engaged with us and they stated that they realised how each day they come across so many unsustainable practices, from improper use of water to the constant overuse of plastic. 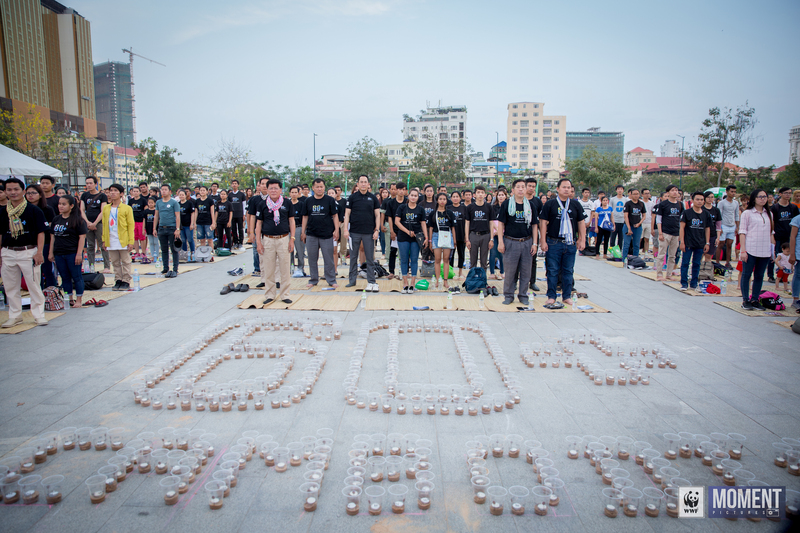 Our message that — The biggest driver of environmental degradation overconsumption and therefore unsustainable production— reached the Cambodian people through various sources. We launched Social Media Campaigns to spread the message in a light but impactful way. We went to universities and addressed large gathering of students and got through to them. #MyChoice was a successful campaign, it sparked a series of people who picked up on it and it was a trending hashtag as people realised that the environment was their responsibility and the time had arrived to claim it. We had also partnered with Aeon mall and installed a booth that promoted the Earth Hour event and non-timber products, so we saw a huge surge of the hashtag along with people at the kiosk who were now realising how avoiding timber could be an aesthetic and an eco-friendly choice. Private sector including telecom company, fast food chain, restaurants, coffee shops, supermarkets, and hotels were also getting involved in promoting the event and the messages to let their customers participate in this environmental movement through sharing it on their social media, and displaying our communication materials comprising of poster, leaflets, and stands at their outlets. We threw light on issues such as deforestation, loss of habitat and wildlife, but also how each citizen could help about these issues. Our campaign moved beyond awareness into the realm of realistic actions that each citizen could take. “My Choices can change the world. It’s such a strong message to hear, it helps me look at the world without feeling disconnected from ideas like climate change. I know that every time I use an eco-bag I make a difference, it is such a small change to make but it makes all the difference” says Ms. Meas Soksophea, Cambodian Singer Celebrity. On the day of the event, crowds gathered as the park filled up. We were so excited to see the enthusiastic participants! It was particularly heartening to see how many young people cared for the environment. We had set up series of stalls that helped raise awareness. The evening had a beautiful fashion show that was made entirely with recycled materials. Following which we had a particularly enjoyable performance by our brand ambassador Meas Soksophea. There was music and dance and people were enjoying the show and were waiting eagerly, counting down to the Earth Hour so we could all turn off the lights.